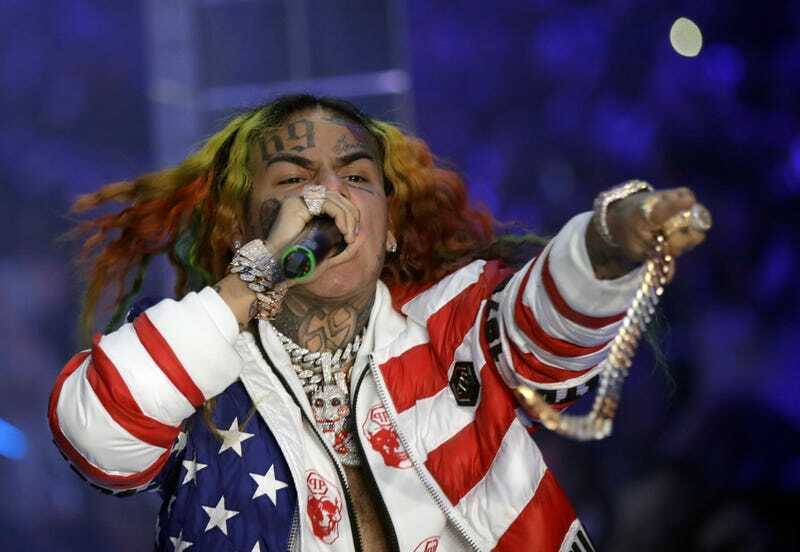 According to Page Six, it looks like rainbow-haired rapper Tekashi 6ix9ine will possibly be re-sentenced to time served next week for posting a video online that features a 13-year-old girl engaged in a sexual act. The rapper, born Daniel Hernandez, was not in attendance during the closed-door conference Friday in which Justice Felicia Mennin, his defense lawyer, and prosecutors made the decision. Previously, Mennin sentenced the controversial artist to four years probation and 1,000 hours of community service for the 2015 charge, despite prosecutors insisting on one to three years behind bars. But since he’s being held without bail on new federal charges, he can’t be on probation. Hence, being given time served. Since being indicted on racketeering and firearm charges last month, he’s been in federal custody. His trial date is set for September 4.